Arrival in Spoleto and check-in at the hotel. Visit to Palazzo Mauri an elegant XVII century noble palace, today the Municipal Library, where the Lombard info point is located. 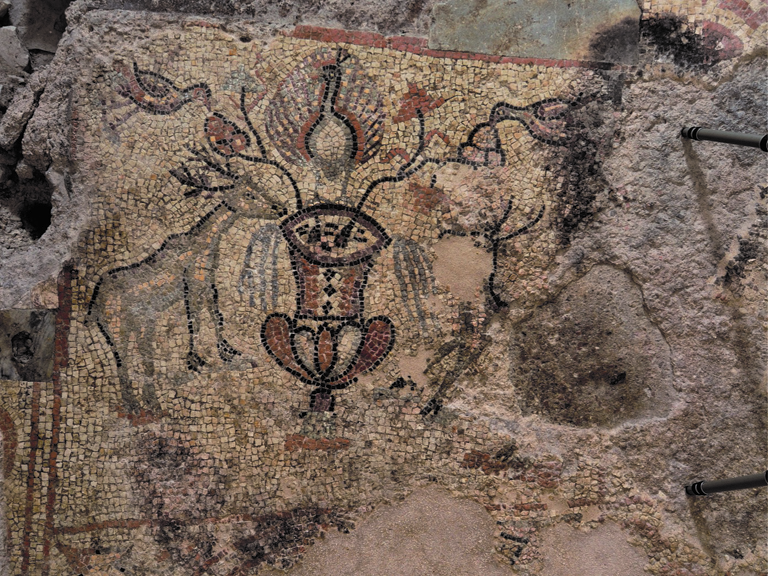 Visit to the ancient Lombard mosaics found on the floor during the last palace restorations. Visit, in Palazzo Pianciani, to another spectacular Lombard mosaic that has recently come to light. 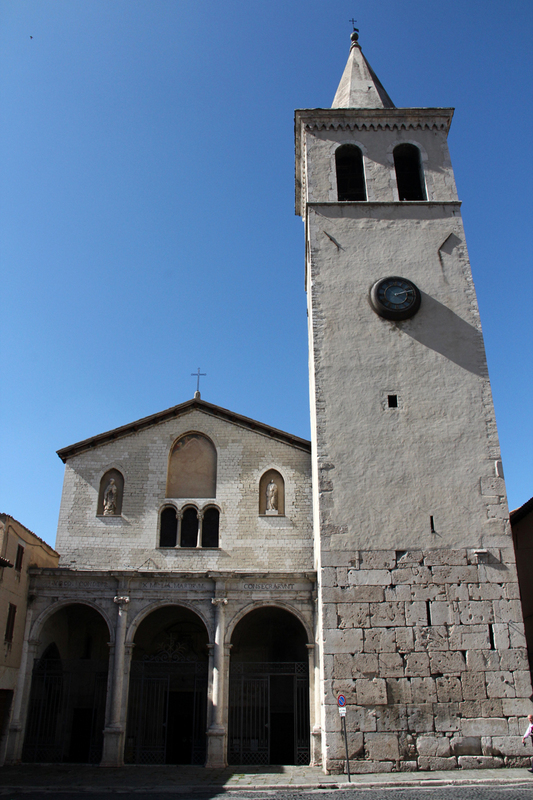 Short walk to the scenic Piazza Duomo and visit to the Cathedral and its traces of Lombard heritage in its bell tower. The cathedral contains many outstanding works of art, including the apse frescoes by Filippo Lippi and an autograph letter of St. Francis of Assisi to Friar Leone. Stop in the city centre for a “Lombard age” lunch to experience the eating habits and flavours of these ancient inhabitants of the city. 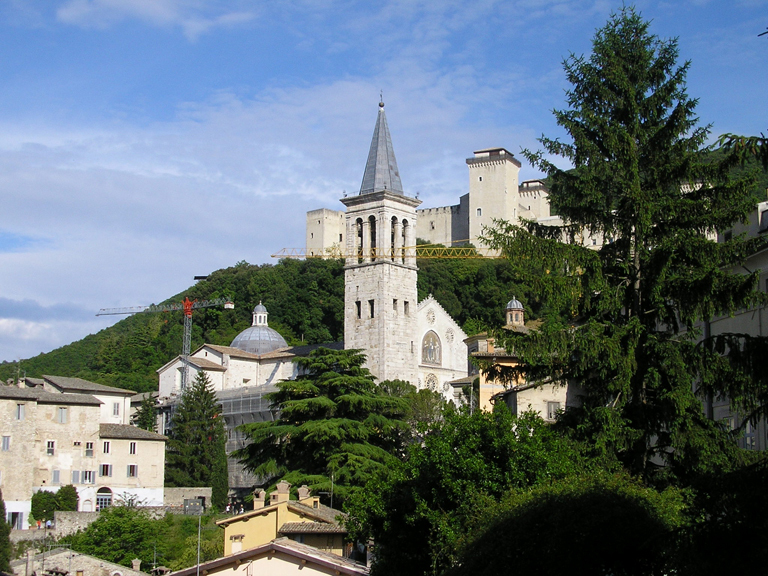 Afternoon visit to the National Museum of the Duchy of Spoleto in the Rocca Albornoziana, a great experience discovering its ancient medieval architecture and its rich exhibition of the Lombard Age, where we will also admire one of the best views of Spoleto Valley. The high position of the fortress dominates the enchanting beauty of the surroundings. Possibility to participate in a workshop experiencing the ancient Lombard manufacturing techniques. 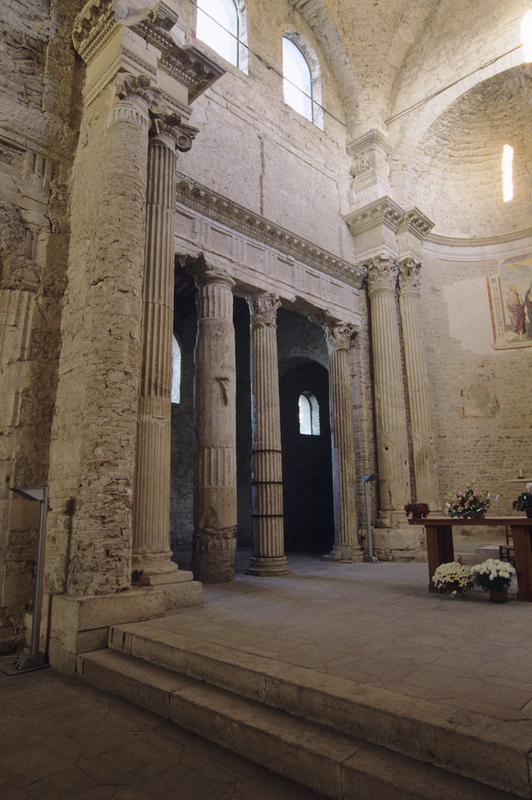 Breakfast and morning visit to the Church of San Ponziano , where the relics of the Saint protector of Spoleto are preserved, and Basilica of San Salvatore, one of the main Lombard monuments of Central Italy and a World Heritage Site since 2011. Afternoon visit to the Churh of San Gregorio Maggiore a masterpiece of Umbrian Romanesque architecture, which retains an interesting pluteo of the Lombard Stop to admire the “Teodolapio”, so called in honor of one of the Lombard Dukes of Spoleto, the only monumental sculpture in Italy by Alexander Calder, designed and donated to the city for the 1962 edition of Festival dei Due Mondi. 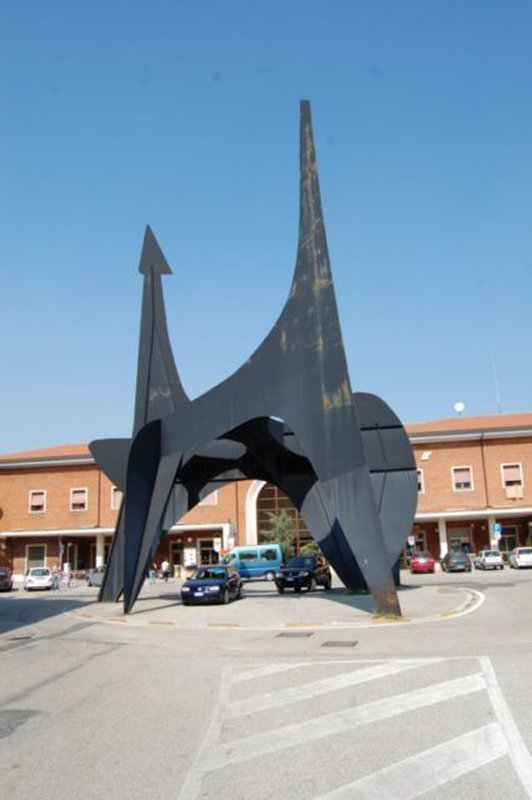 Price includes: tourist guide, 1 HB hotel accommodation in twin or double room, 1 lunch, 1 “Lombard age” lunch, entrance ticket for National Museum of the Duchy of Spoleto, including VAT. Extra fee for experience workshop by Sistema Museo (website: www.sistemamuseo.it email: spoleto@sistemamuseo.it): to be arranged according to the chosen workshop and the number of participants. 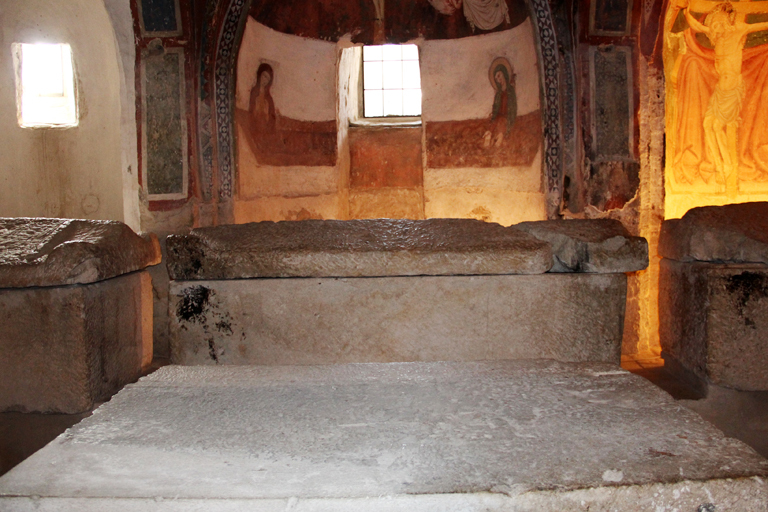 Following the damage suffered in the recent earthquake, the crypt is temporarily closed to visit.